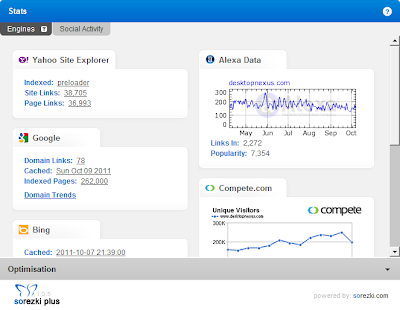 Home SEO Sorezki SEO Plus extension for Chrome: Know your competitors SEO stats instantly! Sorezki SEO Plus extension for Chrome: Know your competitors SEO stats instantly! Every webmaster knows how the word” SEO” worth for them. SEO is not about keywords and backlinks at all. It’s how you understand and analyze your SEO figures online and make change towards a good conversion. Moreover, knowing your competitors edge could give you a better idea to enhance your traffic and online ranks. In analyzing, manual method could be an option however, the changes in our Search Engine algorithms is uncontrollable that may affect your planning and definitely a time-consuming strategy. Why not seek a SEO tool that would ease your burden? 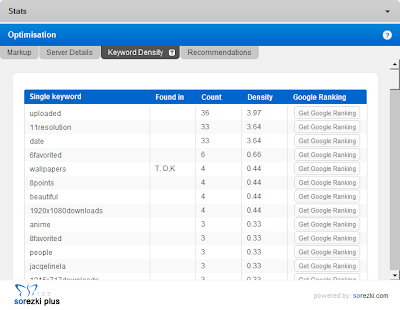 Sorezki SEO Plus is one of the best free tool that would assist your SEO analysis in the web developed Sorezki, a popular Online Marketing and Web Metrics company. It works as Google Chrome extension that provides well-structured information of every blog/ website you visit. 4. Sorezki SEO plus can display errors in the Optimization Tab pertaining to your blog Markup, Server Details, Keyword Density and offers recommendation. 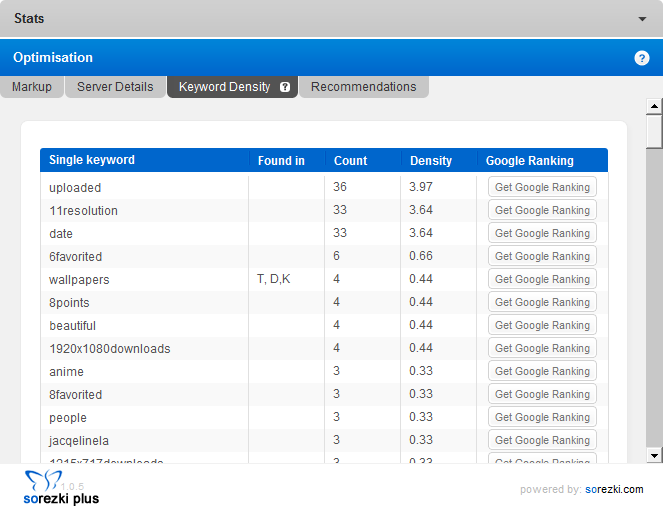 Sorezki SEO Plus is a very user-friendly browser-based SEO tool. After you install its extension in chrome, just browse any website you want to analyse then, hit the Sorezki icon(blue butterfly) in the upper right corner of your chrome and there you go. Cons: As of this time it only works on stable Google Chrome version and some latest are not yet compatible.